One of the most popular artists' impressions of Lord Krishna, in his adult form, is the one that shows him standing with Radharani - His supreme beloved, a young gopi of Vrindavan. I got this Wall Art design as a kit from the market. So I didn't have to prepare the base for embossing. Despite that, painting such an intricate pattern was a difficult and slow process! I actually got a big blister on the tip of my right hand's forefinger... had to hold the brush real tight & steady! 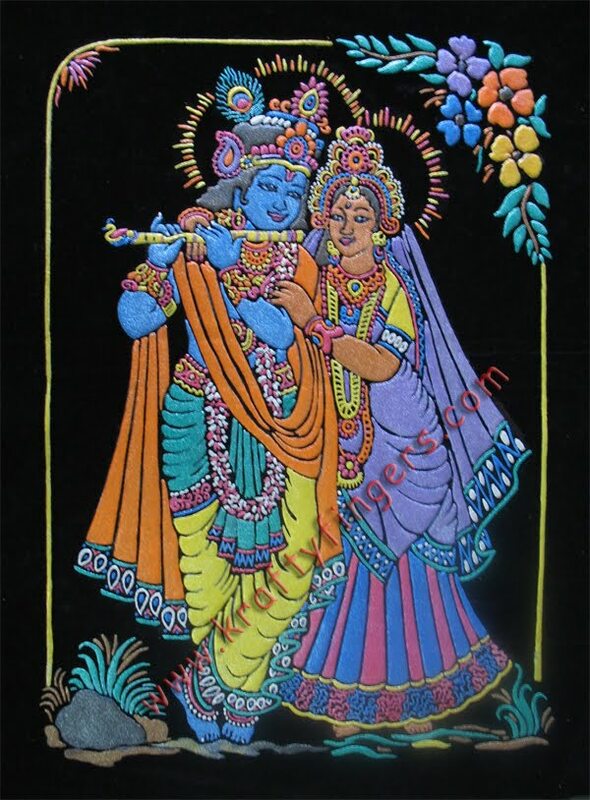 This "Radha Krishna" emboss painting is a part of the "Limited Edition Collection" here. Please order immediately if you are interested in this product.